Step 1: On your iPhone or iPad, go to Settings. 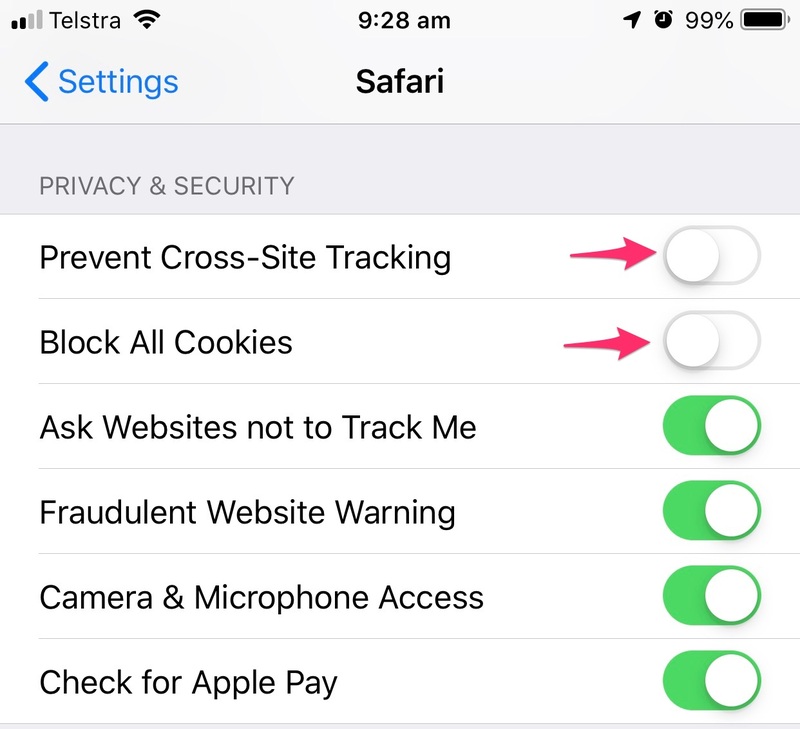 Step 3: Under Privacy & Security, toggle off Block All Cookies and Prevent Cross-Site Tracking. Step 4: You may need to restart Safari for the new settings to take effect.